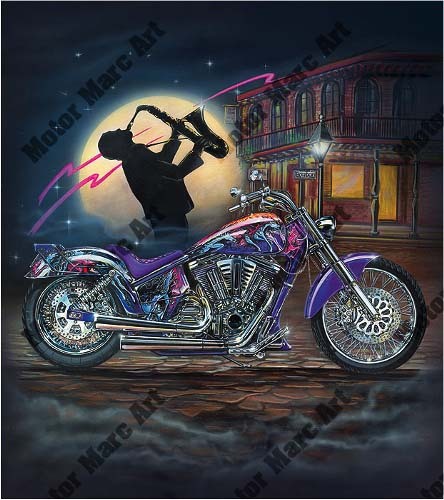 The cool jazz of Bourbon Street sets the mood for this piece. The long low lines of a drag-style custom are showcased to the strains of jazz drifting from a smoky bar on Bourbon Street. Shotgun pipes and wire wheels sparkle under the streetlights in this nighttime pose.